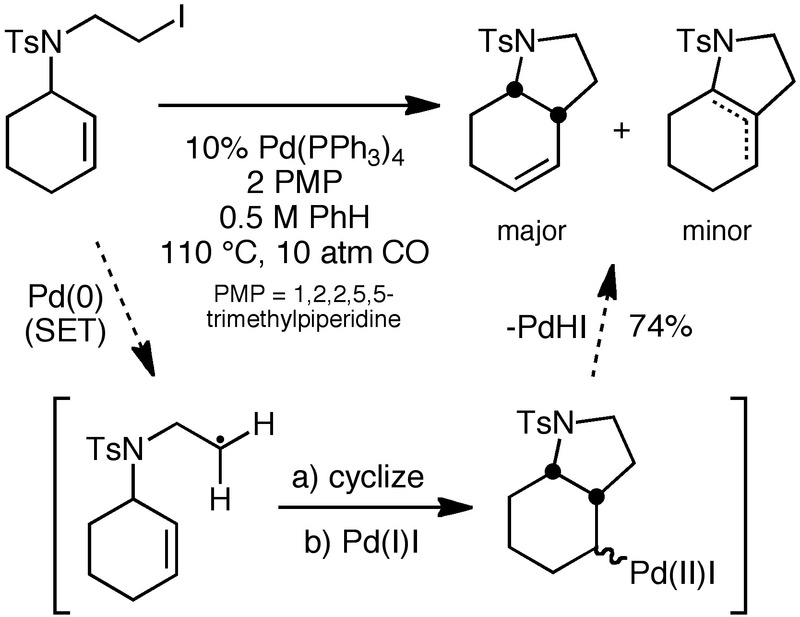 That’s a neat cyclization — “Pd as radical initiator”. I wonder why the CO atm is necessary? Is it to deactivate the palladium toward oxidative insertion, and thus avoid beta-elimination side products? I wonder if a “solid CO equivalent” like Mn(CO)6 can be used instead if one wants to avoid messing around with a CO lecture bottle….